Enter your email & join the fun! 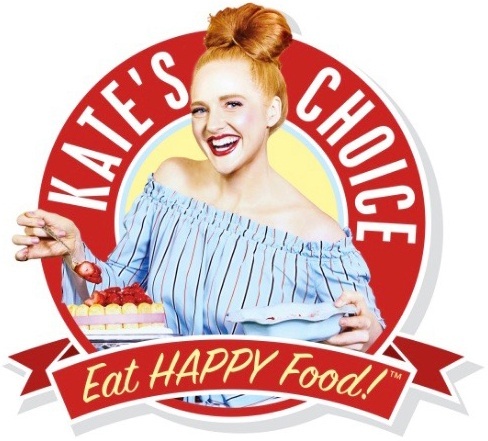 Kate’s Choice was founded by Kate Von, Consultant and Cook. After years of connecting her clientele to the best organic products, she decided to create a healtheir marketplace of foods and education. 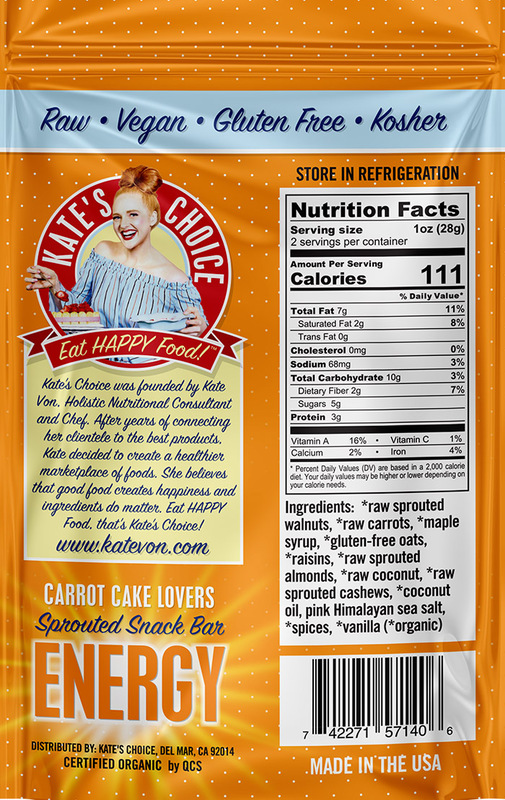 Kate believes that good food creates happiness and ingredients do matter. 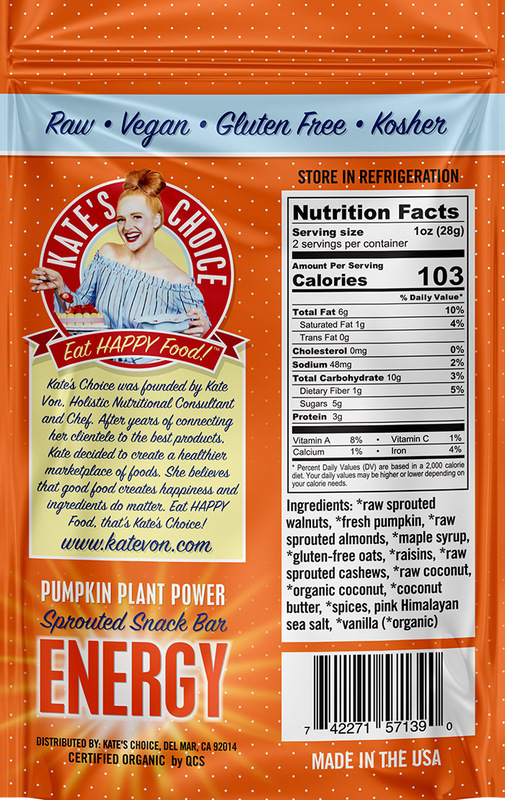 Eat HAPPY food, that’s Kate’s Choice! 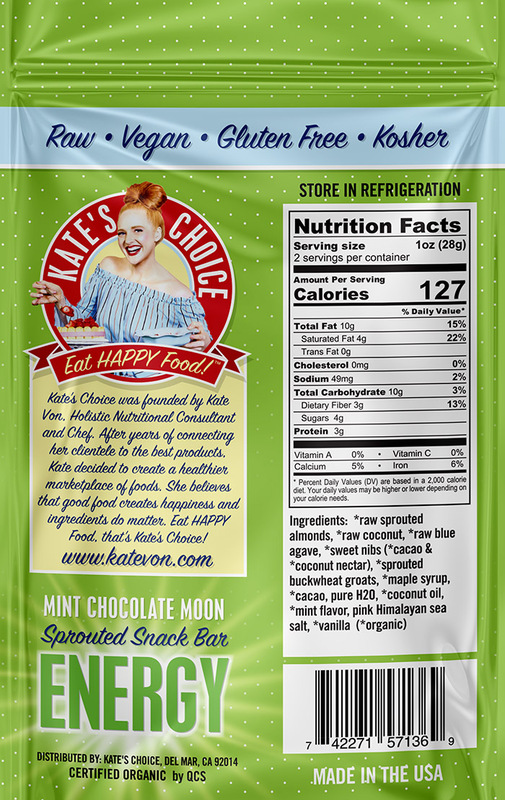 Kate’s Choice Snack Bars are made from organic ingredients, fresh whole foods, sprouted nuts, gluten-free grains, superfoods and no refined sugar. To increase the nutritional content we dehydrate our bars, giving them a taste of homemade. Our Snack Bars manufacturer is a kosher and peanut-free facility. Home Improvement where food & lifestyle IS the medicine! Crowned by a giant cereal bowl atop her head by the Food Network, Kate Von has been recognized by her entertaining abilities and performances on The Food Network’s “Cutthroat Kitchen” and “Camp Cutthroat”. ….